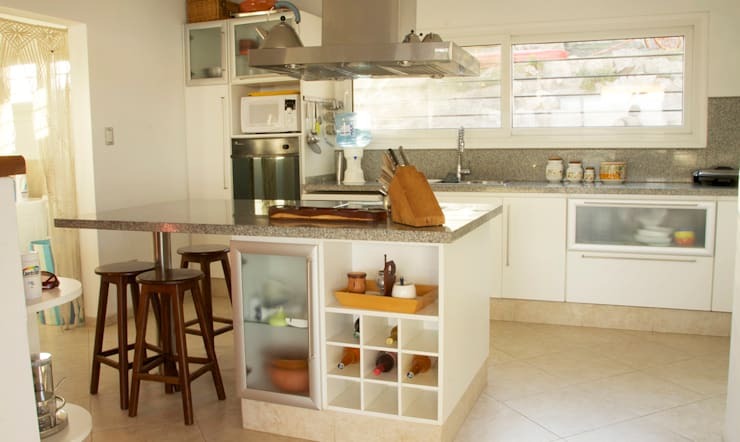 Choosing the ideal kitchen counter can be a sensitive issue. It’s not the same as choosing a table, that’s for sure. The counter needs to be a good facility regardless of the material you choose. These materials must be easy to wash, able to withstand the weight of a pot, unaffected by the thermal shock inevitably involved with cooking utilities, and provide a comfortable enough space to fulfil a whole range of food preparation activities, from kneading pizza dough to tenderising meat. In addition to considering the material for the counter top, you’ll also need to look at its style. 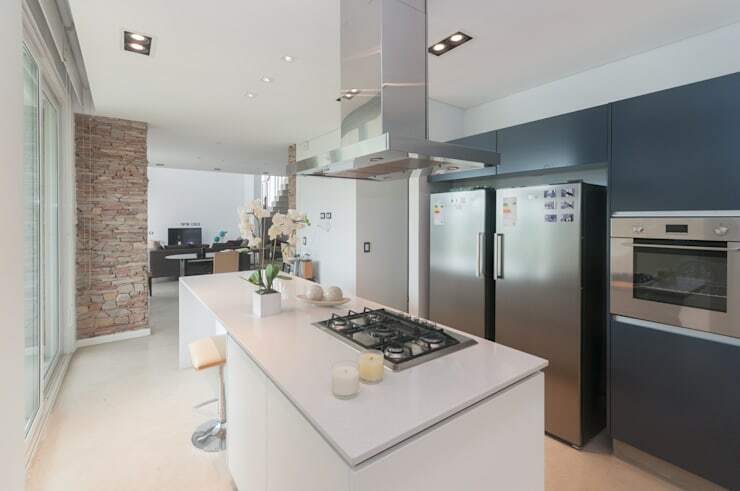 The counter top will have to fulfil a number of functions, such as providing space for cooking, hosting kitchen appliances, and being a space where you can sit and eat as well. The style, therefore, has to accommodate for this. In this ideabook, we will show you six beautiful kitchens, so you can pay attention to the counters incorporated in them. There are so many different styles and materials available to us today in order that we may equip our kitchens exactly to our needs. Let’s take a look! We agree that wood provides no doubt when it comes to aesthetics. The warmth and elegance of wood are ideal for environments decorated in any style. However, this material is not recommended in high humidity areas, such as along the kitchen sink. 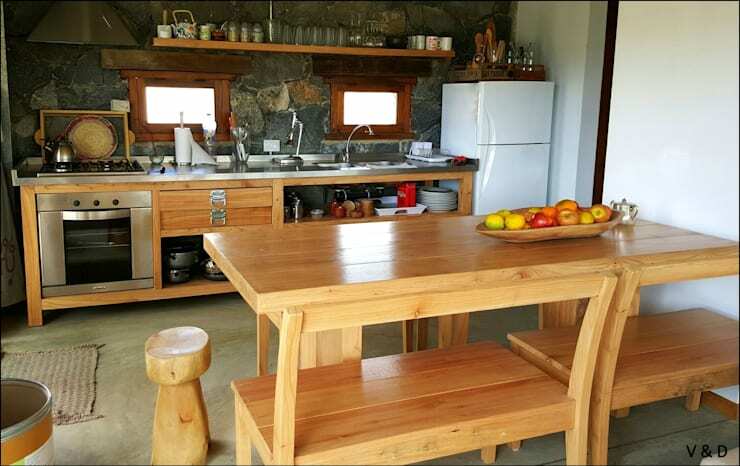 This does not mean you cannot use wood for the counter, only that you may still need to combine it with more appropriate materials for cooking and daily hygiene such as stone or steel. If you like wood, the style of your kitchen can only benefit from it. Properly cured and waterproofed, it will be suitable for use both when cooking and eating. Many people tell us that when they hear the word marble, they imagine mausoleums, solemn environments, palaces, spaces that ultimately have nothing to do with the comfort expected in a home environment. We respond now as we always respond: marble is a material that will slowly but surely win your heart. Everything depends on the framework you give it, as well as the design and style it is situated in. Modern synthetic materials are designed for versatile designs and many functional uses. 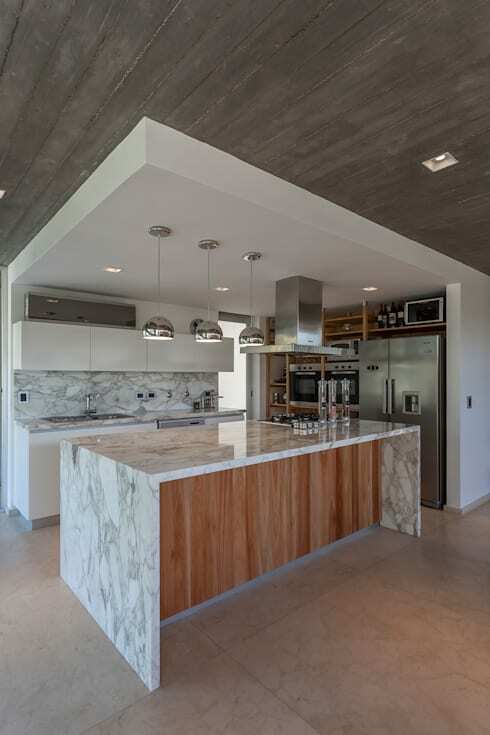 In this spotless kitchen by Chazarreta-Thous-Almendra, we observe how these elements can be applied to the entire kitchen counter, extending to a highly practical breakfast area with room for four people. This type of material is easily washed as it is not porous, plus it is also durable and easy to install. However, you will have to take care when it comes to thermal shock. Don’t place pots and pans directly from the stove onto the surface. Here, a kitchen island of the room is imposed with a very modern, multifunctional design. 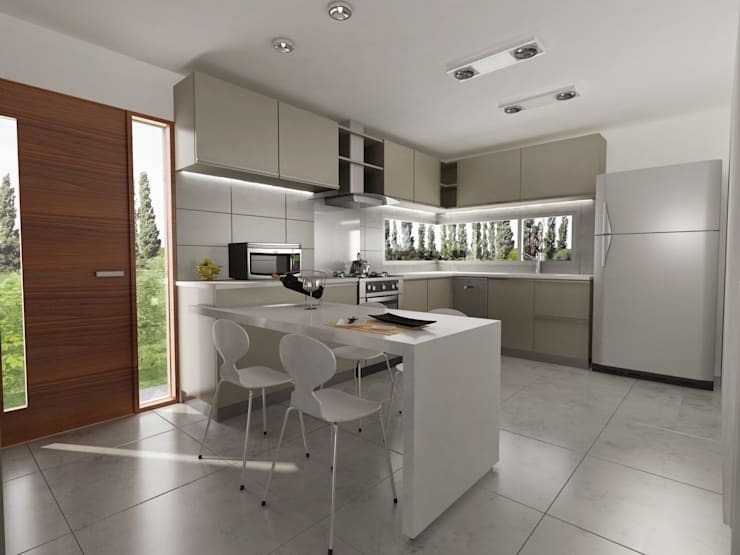 This is a minimalist style that could go well with any of the typical materials suitable for kitchen counter tops, such as steel, tile or granite. The choice of material cannot neglect a decorative kitchen environment. In this case, the white stone and steel are more than successful. Within the marble and stone used for counter tops in kitchens, granite is one of the most accessible. It is a highly noble material, which sometimes have reddish tones when presented in greyscale. If you want to play it safe, grey granite will keep you satisfied and will last a lifetime. You'll be able to combine it with the colour of your choice, but the proposal we see above is elegant and warm. The design of the counter with shelves attached, gives great freshness to the environment. Steel, quartz and synthetic materials, make up an atmosphere of pure simplicity and remarkable elegance. Grey and white are the colours most preferred by designers and decorators. There are several ways to get these tones with materials. 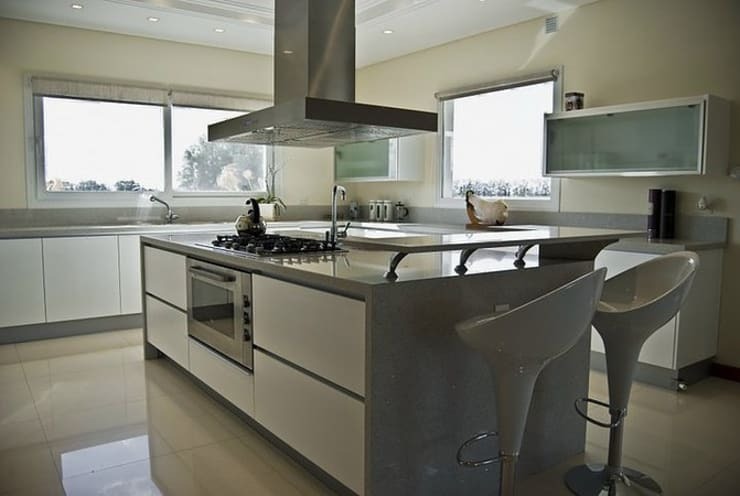 For example, have you thought of polishing countertops with microcement? Well, it is one of the trending materials to coat the house from head to toe with. The choice of material for the counter may be something exciting, as we have seen in this ideabook. You'll feel much better, however, if you have it all perfectly installed to avoid leaks and other structural damage. Therefore, consider involving a kitchen planner to help you with the task.